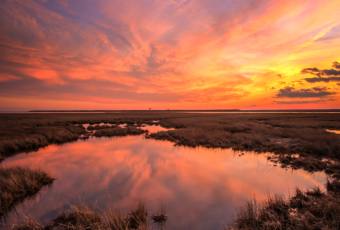 Here's my complete archive of sunset photography. 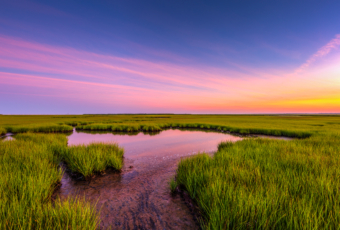 Most photographs are here made in southern Ocean County, New Jersey. 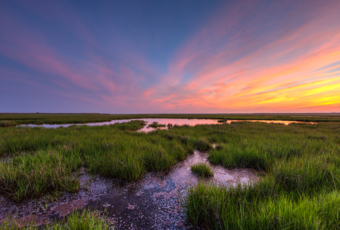 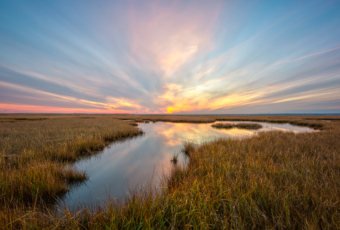 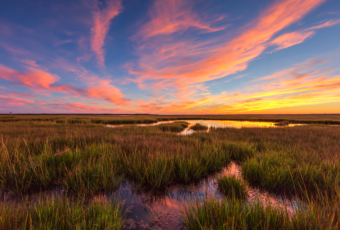 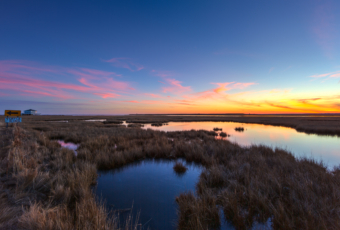 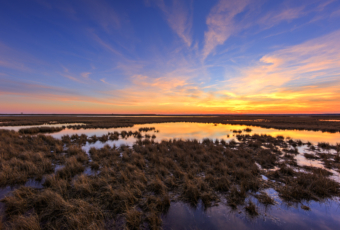 Let us share the beauty of New Jersey's coastline, salt marsh, and Pinelands forest. 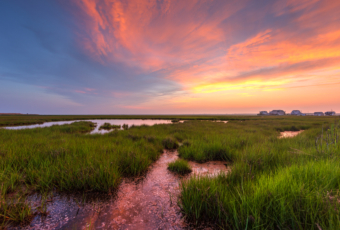 Some of my favorite sunsets include Ruinous Splendor, We Face the Path of Time, and Still the Sirens Call. 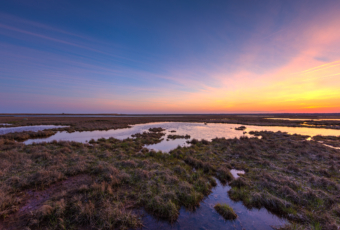 Now get out there and chase some light! 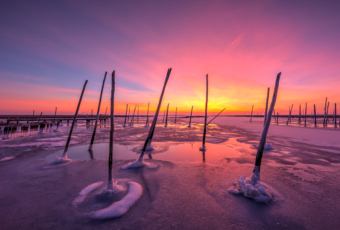 Ice, snow, disused docks, and a high power sunset reflecting on frozen bay water bring wintertime drama to Great Bay Boulevard.